It has been almost two weeks since I got back from Mexico, and everything here in Tokyo seem to be happening normally. Life continues as usual, the weather changes, spring is here and the Sakura are in full bloom. However, there are still a lot of things going on. We still get aftershocks now and then, the nuclear power plants are still an issue, and the lack of electricity still has effect on everyday life. And also, of course, Northern Japan still has a long way to recover from the devastating scars the tsunami left. For Japan, this will be a period of renewal and resurrection, It has to revitalize itself and rise from the catastrophe. Spring and the blooming of the sakura (cherry blossom) arrived on the best moment possible. They are gorgeous, inspiring, and help us see beyond the problems we are experiencing. 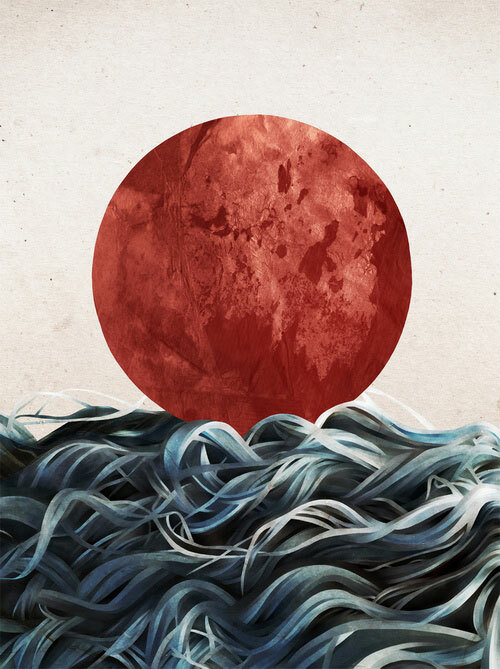 I trust Japan will recover from this disaster very well. The same way that the cherry tree loses all its leafs during the hardships of winter, only to blossom with beautiful sakura afterwards. Seeing the sakura blossoming is wonderful. They cheer up the mood and bring back the smiles in people’s faces. They give us hope. 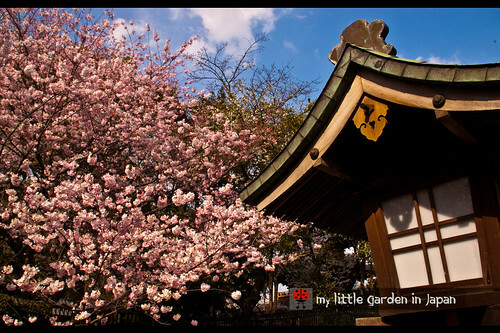 Here in Japan going to see and enjoy the beauty of flowers is a very old tradition called Hanami (花見 "flower viewing"). Going to see the sakura is so important that even the national weather bureau keeps a very tight track of when the trees will bloom. They also have many festivals around and many sakura related events, promotions, decorations, food, and other products. 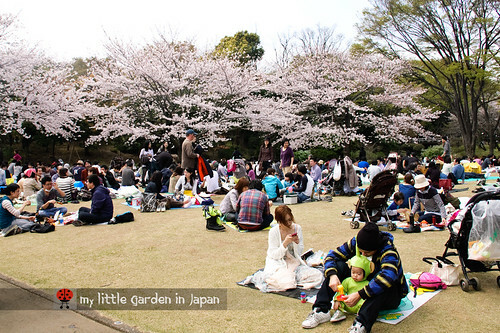 Nowadays, hanami usually consists of having an outdoor party or a little pick nick under the sakura trees. In some parts, food stands are set close to the viewing areas and a little festival is held. Also, many parks also hang paper lamps temporarily to help people see the blooms at nighttime and to intensify the beauty of the flowers. Here in Tokyo it the blooming of the sakura usually happens around the beginning of April, and depending on the weather, last a week or two. Every year most Japanese people go out whenever they have some time and have hanami, even people from other countries come on those days to enjoy the blossoms. 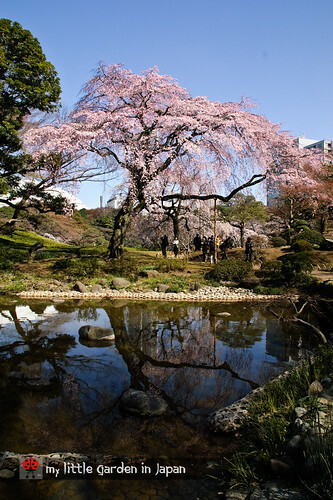 All around Tokyo they are many great places for enjoying hanami because sakura trees are very popular plant to have. You can always find a great mature tree even when walking along the little alleys in the suburban areas. However, most people concentrate on the biggest parks, so it can get very crowded there at times, but it all contributes to the festivity feeling it all has. 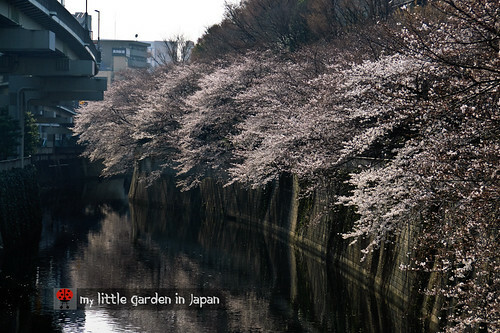 I got very lucky, close to my new house there is a river all bordered by sakura trees. It is a very calm place and walking along the view is just amazing. The sakura looks spectacular. If I ever visit Japan I hope it will be at this time of year. P.S. Is there a "special girl" somewhere yet...? Wonderful! I love the ritualisation of watching flowers; the feeling that a short blooming period is worth celebrating. And of course it is, especially in Japan these days. 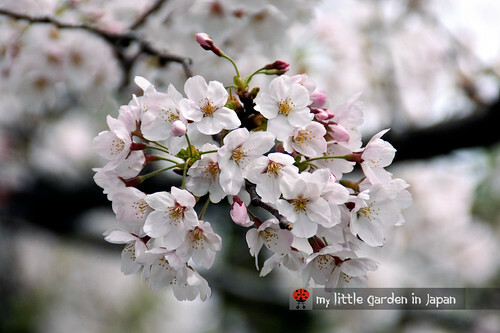 After all, earth quakes will keep occurring at irregular intervals, but the sakura will bloom every spring. I love seeing a tree here and a tree there and then rows of trees. Looking down on the valley where I live it looks like a giant quilt...it is just so pretty. 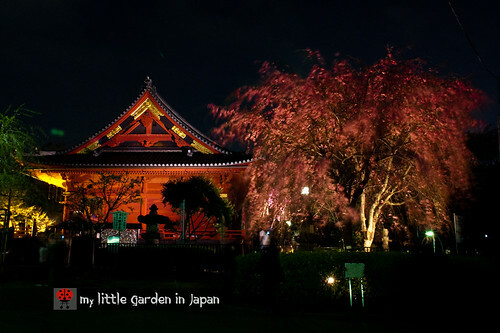 It seems, sakura time is friendship time, brothering time and sharing something time for Japans too. I wish, your wish is going to be real as what you would like to be. fer, I believe you've understood what the attitude of Japanese toward Sakura and why we love it so much. Sakura flowers attract us only for a few weeks during their full-blooming with their beauty and disappear so easily with winds. That process shows ups and downs in human life. We, Japanese people, will recover from the disaster which we are facing as Sakura bloom fully every spring after spending harsh and cold winter! Pretty! It's one of my favorite times of the year in Japan! The Sakura are so beautiful and plentiful. I one little North Star cherry tree that I hope and pray will bloom. It made it through the winter, but we have frost yet to contend with. Tokyo is a beautiful city. Glad you are doing well. The sakura is really pretty! 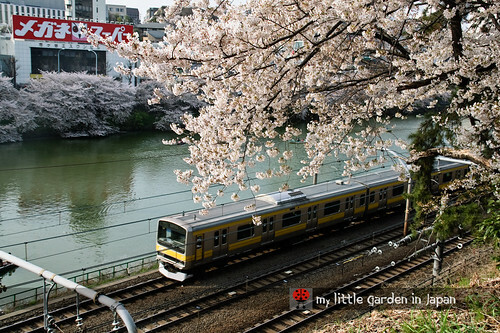 It's so beautiful in Japan with sakura flowers everywhere! Hope Japan recover fast too! Thank you very much! I anyone ever has the chance to visit Japan during that time, has to do it. It is a beautiful sight. Ann~ Looking forward to seeing you tree bloom! I wish I had one too. I miss hanami! i've read, though, that celebrations are a bit restrained this year, is that true? I'm glad the Sakura are uplifting rather than a harsh contrast with what else is happening in Japan. The river scenes look wonderful. What beautiful photographs - I hope the hanami lifts the hearts and souls of the Japanese people after the dreadful events of last month. My friend and colleague is on his way to Tokyo right now to do 10 days training in martial arts. He'll be lucky enough to see the Sakura as well as do the training! 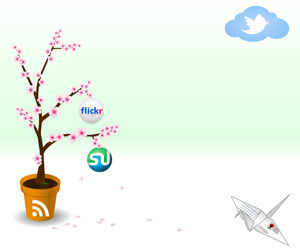 The photo of the plum blossom tree by the lake is certainly iconic of Japan. Flowering sakura is heart-lifting. 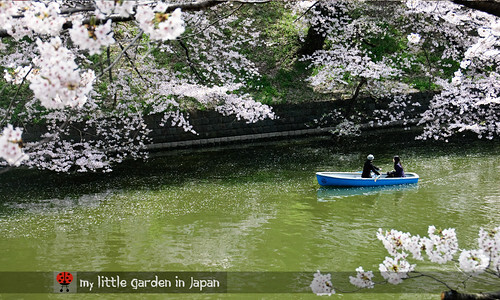 One of my dreams is to visit Japan just to see those cherry blossom flowers; have only seen them in photos/movies/books. Oh, those flowers are pretty! Thank you very much! 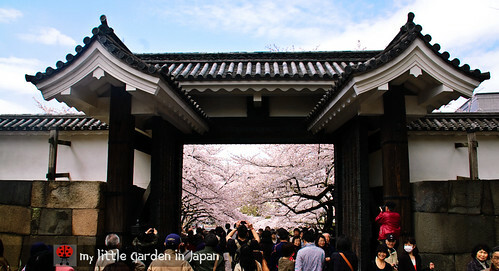 The sakura are really a must see for everybody. 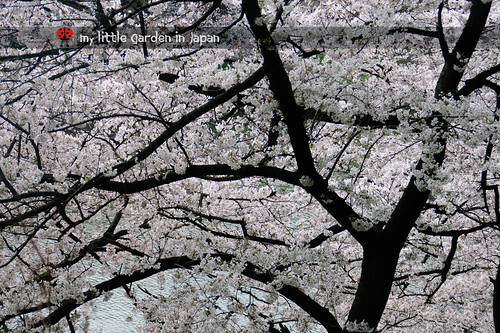 The sakura photos are so breathtakingly beautiful. How fortunate to have such views.